Late Summer Getaways from £80 at Park Resorts Its never too early to book your family summer holiday. Head over to Park Resorts now for amazing deals. Discover Special Offers with Newsletter Sign Ups at Park Resorts Stay in the know with the latest offers and updates from Park Resorts. 25% Off 3, 4 and 7 Night Breaks at Haven Holidays-May Half Term Special! 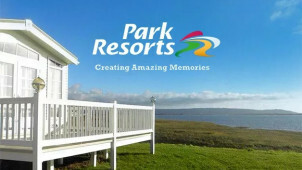 Park Resorts want to give you the fun of families holidays at affordable prices. Whether you’re looking to stay in a caravan, camp out in tents or enjoy a chalet or lodge, there is something for everyone at one of Park Resorts holiday parks. You can find a range of cheap family holidays in locations across the UK, in Scotland, Wales and England. With deals on hotel stays and short breaks available all year round, as well as seasonal holiday park deals for the whole family, you’ll be sure to save when you book a holiday to remember with Parks Resorts. Park Resorts want to make your break as memorable as possible and provide a plethora of free extras to make your break extra special. From extra entertainment, kid’s clubs and discounts for local attractions, you’re guaranteed to have an itinerary packed holiday. Seeking out the best deals can also help you save on touring and ready pitched tents which are available at most of their UK resorts. It’s always good to know that there’s a wide variety of holidays available, and you can truly pick a trip away that suits the needs of you and your family. How do I use my Park Resorts promotion code? See a list of results with your discount already applied to the total price and book your holiday for less! Look out for seasonal discounts on holidays across the UK and escape with the whole family for much less. How do I find the cheapest holiday deals? The special offers page gives you a roundup of the holiday discounts and cheapest holiday deals available right now. You could get money off a long weekend getaway, free nights with touring holiday bookings or even up to 50% off family breaks! If you’re travelling with friends, family or a corporate event and need to book 10 or more holiday homes, you can save money with the great Park Resorts group deals! If you book early, your extra discounts could include 10% off bookings, free holiday homes with selected bookings and low deposits. What’s more everyone in your group will be able to use the swimming pools, kid’s clubs, sports courts, entertainment and electricity for free! Park Resorts are on hand to help you plan your group holiday or event, giving a service that is catered to your needs. Find out more group discounts here, or email groupsales@park-resorts.com, or telephone 0843 309 2593. What is the Park Resorts contact number? To find the contact details of a specific holiday park, search using the park’s name here. You can also complete the online query form here and the Park Resorts team will get back to you to help with your problem. Park Resorts boasts award-winning Holiday Parks in 39 beautiful coastal locations across the UK. Offering a fantastic selection of accommodation in a safe and secure environment with plenty of free facilities for all ages to enjoy, it’s hard to go wrong Park Resorts. What’s more, when you combine that with the savings of a Park Resorts discount code, you’re really onto a winner. Book your family break away today, and save online with vouchercloud. If you’re looking for a holiday home of your own, then you could get your hands on a Park Resorts caravan at a great price! There are plenty of pre-owned caravans up for grabs in the UK and with lodges available too, you’ll be able to find a little luxury of your own in no time with Park Resorts ownership. Who doesn’t like going on a holiday? From Camber Sands to Devon and wilderness in Wales, it’s always a good time to have fun on the beach! You’ll be able to spend some quality time with loved ones in a lovely lodge or caravan on one of the Park Resorts holiday parks, plus, your Park Resorts promo code will keep your break budget friendly. Guaranteeing entertainment and well-deserved time out, it’s always a good time to book a holiday!